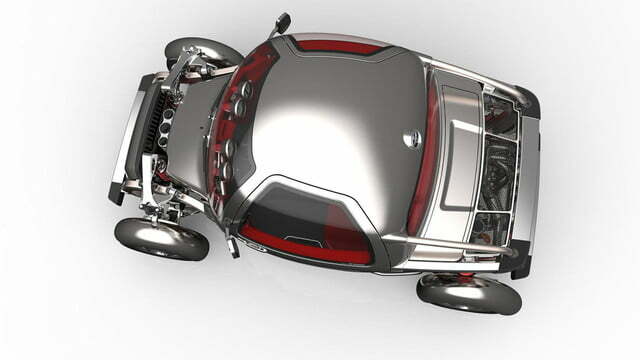 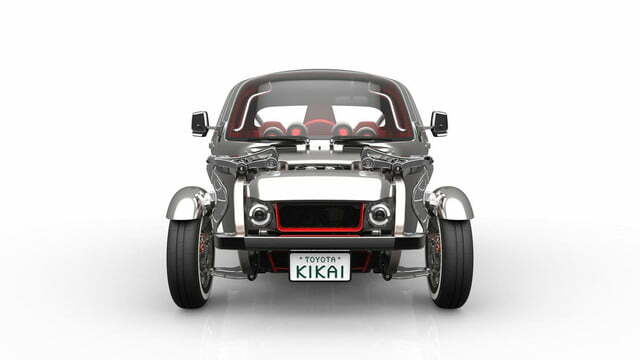 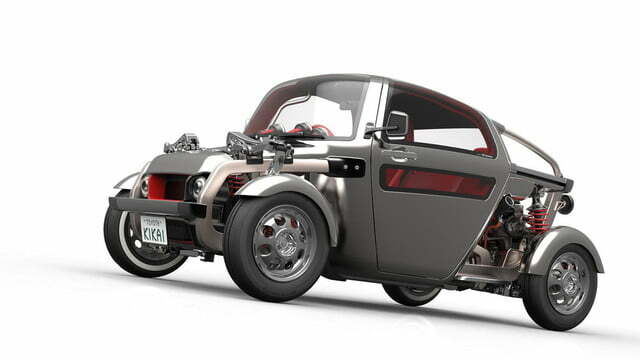 The KIKAI boasts a hot rod-like design that lets onlookers and passengers admire all of the mechanical components that are usually hidden out of sight in modern road cars. 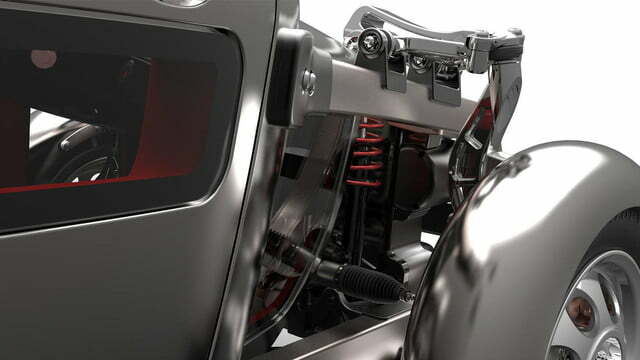 As a result, all the parts that make up the braking and suspension systems and every component that’s bolted to the engine boasts an eye-catching, custom-built look. 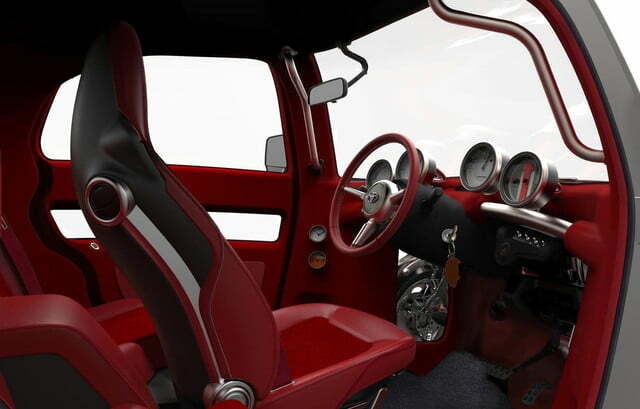 Accessed via minivan-like sliding doors, the cockpit offers space for three passengers in a triangular configuration that puts the driver front and center. 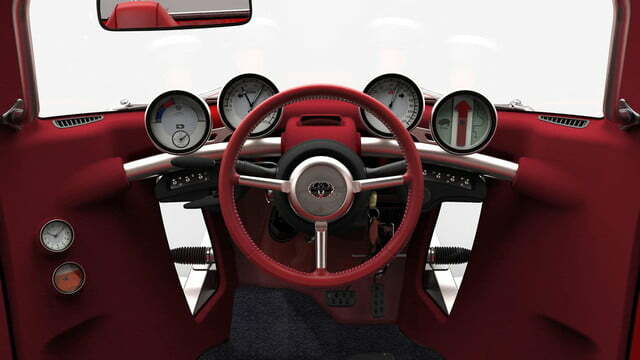 The steering is commanded through a retro-inspired, button-less wheel, and the instrument cluster consists of four analog gauges mounted on a curved piece of tubing. 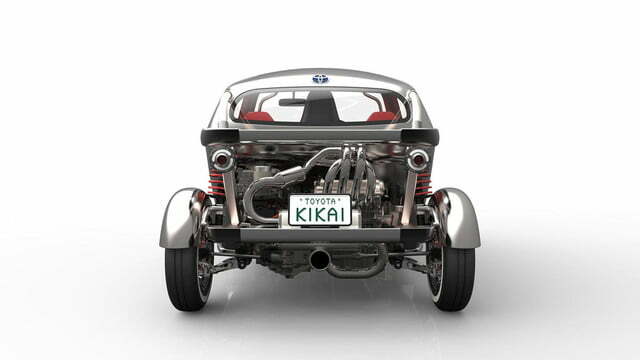 Toyota was coy on details, so what information the gauge with the arrow, the pig, and the Etch-a-Sketch-esque drawing is supposed to provide is anyone’s guess. 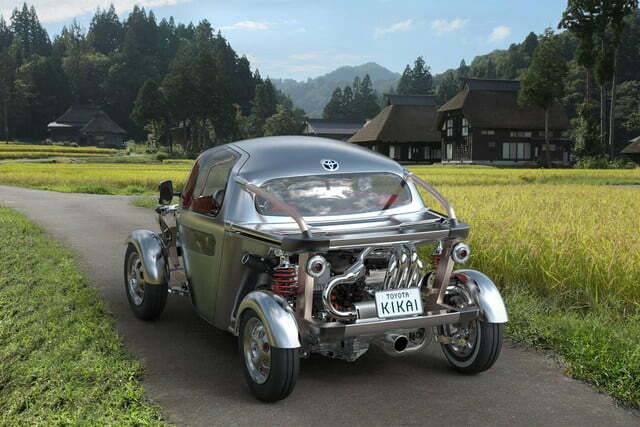 Surprisingly, Toyota hasn’t revealed what the KIKAI is powered by. 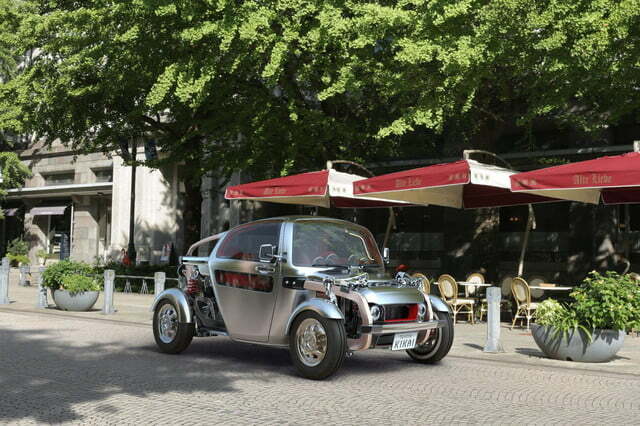 A closer look at the images, though, shows that the car uses a gasoline-electric hybrid drivetrain that’s built around a four-cylinder engine located right behind the passengers compartment. 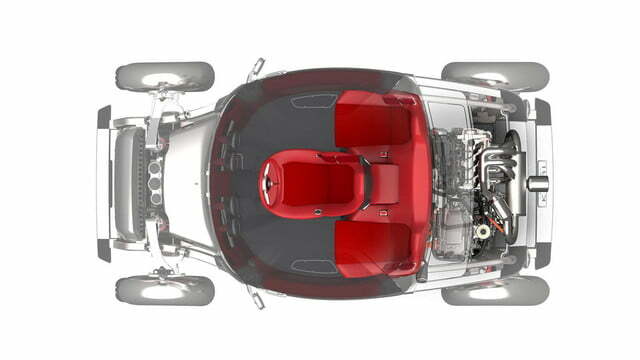 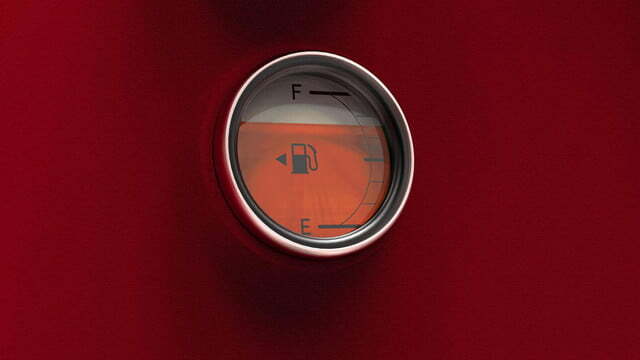 An automatic transmission sends power to the rear wheels. 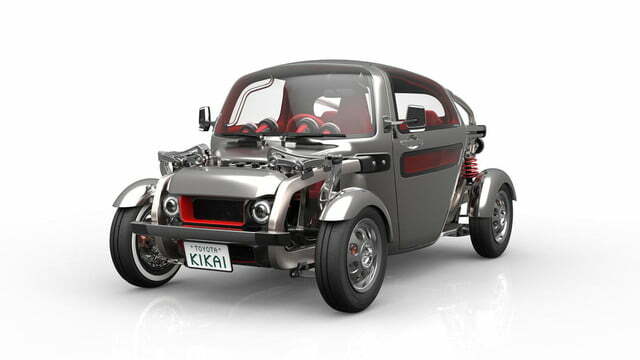 Toyota cautiously points out the KIKAI is merely a design study, not a preview of an upcoming production model. 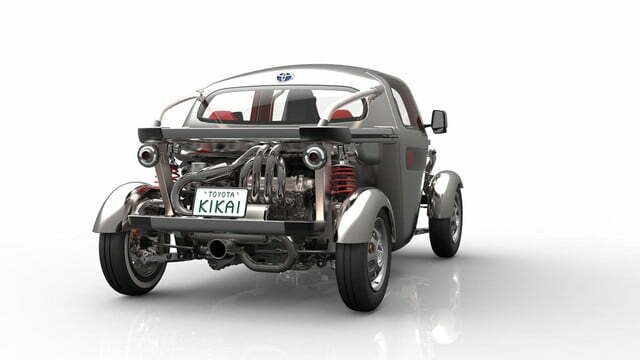 It’ll undoubtedly generate an immensely positive response from show-goers in Tokyo and Toyota fans alike, but the chances of seeing it get the proverbial green light for production are non-existent. 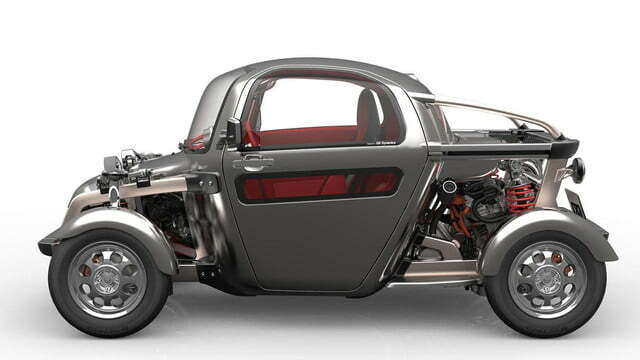 As a consolation prize, industry rumors indicate the heritage-laced S-FR concept that will also be shown in Tokyo stands a good chance of seeing the light that awaits at the end of a production line.